I worried after I baked it that it would be hard to cut and serve. Nope. It was quite easy. It worked absolutely perfectly. 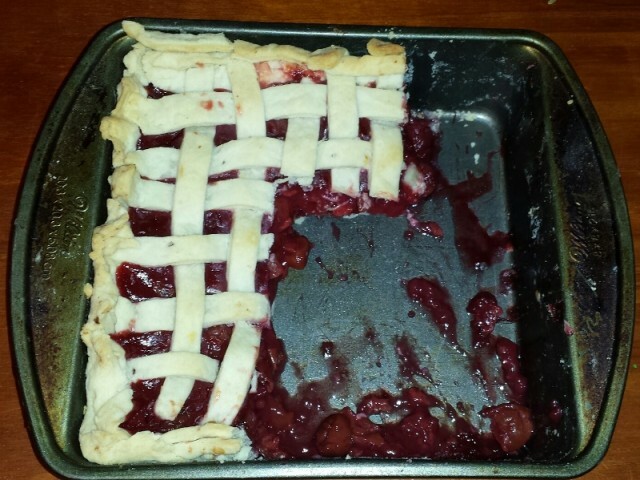 In fact, it was easier to cut and serve the square one than the circle ones. I think I’ll start a revolution – square pies. 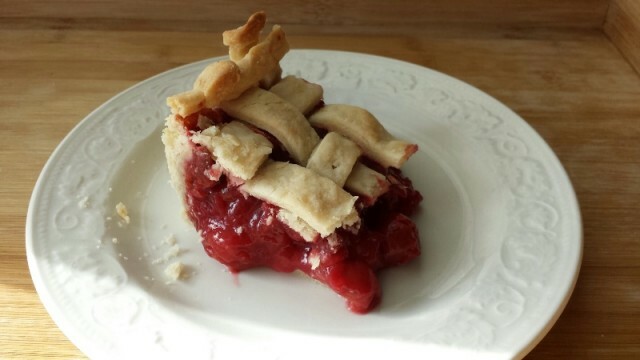 So, in this case, the pie can be squared. I think this is my new favorite comment ever. okay – HAHAHAHAHAHA – that one wins. I don’t know if that is completely correct. 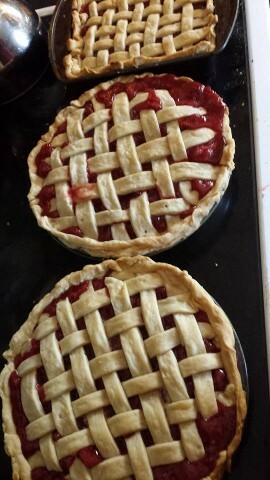 See = pie are squared. It was kind of a stretch – another dimension.